Before the start of each training session, each Debater should decide on a particular area to focus on and pay it particularly close attention. For instance, a Debater could choose to pay more attention to controlling hand gestures, giving better points of information or rebutting stronger. This provides a direction and challenge for the training session. This should not, of course, mean that the other aspects of training should be neglected. In order to maximize the productivity of each training session, Debaters need to be “warmed up,” just as they will if they were footballers or dancers. Debaters usually do not spend most of the day speaking and orating. Thus, at the beginning of training sessions, they are usually “cold.” Their minds may not be processing as quickly as they could be and their vocal cords have been unused for an extended period. It is difficult, in particular, for the Debaters to speak fluidly and cogently after a cold start. Thus, quick warm up sessions at the start of training usually help to bring the Debaters to an optimal position to speak and debate properly. Examples of such warm ups may be found here . When training for debate, it is important to have a balance of “isolation” drills and full practices. Isolation drills refer to sessions where debaters work on one particular component of debate in order to get it right and have it internalized. For instance, Debaters can focus purely on rebuttals for one training session and work to get the strong attacks developed within that session. In another session, they could work on voice modulation while yet another session could be dedicated entirely to gestures. Isolation drills are particularly useful for younger or inexperience debaters who are still working to acquire good fundamentals in debate. Examples of such drills may be found here . c. Debaters are able to internalize the desired traits through repetition. By focusing on short isolated drills, these Debaters are able to do the exercises over and over until these traits become second nature to them. This is especially useful for debate fundamentals such as signposting, structuring the argument well and speaking clearly and effectively. Debaters should balance isolated drills with the use of full debates within training sessions. In fact, full debates should become the norm for most training sessions as the Debaters grow in proficiency and prepare for entry into debate tournaments. With full matches, the Debaters will be able to adjust to the conditions of a competitive match as much as possible. This will allow them to develop the a set of SOPs for full matches. This also allows them to develop the stamina needed to keep sharp and alert for multiple debates being conducted in a short time frame. In order to get the best outcome from each training session, Debaters should treat every training session as a seriously as they will a competitive match and behave accordingly. Taking a relaxed approach to training often means that any bad habits tend to creep in and fester. Although Debaters think that they can just “clean up” and adjust for competitive matches, it is often difficult to get everything right. Thus, emphasis should be put into having the debaters approach training with the mentality that they will be giving 100% for the training session. Debaters should also approach training with the intent of making sure they will never be caught by surprise during a competitive match. They should thus familiarise themselves with the conditions of a competitive match during the training sessions. If the competitive debate requires the use of microphones, at least one training session should be conducted where Debaters are forced to handle AV equipment. For debates held in large halls and auditoriums, training sessions in small rooms will not be sufficient. The Debaters should find a similarly large venue to practise in. 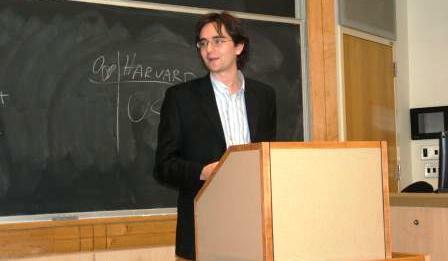 Some Debaters even conduct one or two training sessions in the attire that they will be wearing for the actual debate. This ensures that they will be completely comfortable on the floor for the actual debate and will be able to focus completely on the debate itself. Debaters should try to arrange for friendly matches with other teams and other institutions as often as possible and particularly before a tournament begins. These events force debaters to take the debating very seriously but does not carry the penalty of defeat in a real competition. These events often allow Debaters from different teams to interact in a non-competitive setting and develop friendships. The best way for Debaters to see what judges want from their speeches is to become judges themselves! By taking themselves out of the debate and viewing the match from the outside, they can see straight away what is expected from the Debaters and strive to do the same when they revert to being speakers. Judging also provides an additional skill as it forces the Debaters to not just track the match but evaluate how it progressed. This will allow the speakers to be able to take the same evaluative analysis when doing their own debates, vastly improving their rebuttals and Reply Speeches. Even if it is not possible for Debaters to become judges at tournaments, they should take the opportunity to judge their peers or juniors during training sessions. Another excellent way for Debaters to improve their debating is to teach debating. 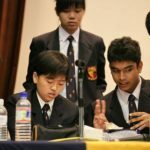 Even student debaters can find the opportunity to teach debate through workshops of debate clinics which are held in schools where debate programmes do not exist. These opportunities force the Debaters to have a strong conceptual understanding of debate and in imparting these lessons, reinforce them in their own minds. Furthermore, since they are now playing the role of mentors and instructors, their own debating during the teaching sessions will have to be exemplary. Another excellent way to gain highly professional training sessions is to arrange for tours overseas to debate against teams and institutions from other nations. Since the Debaters will be representing their countries on these tours, the desire to perform well is strong and the matches will offer more intensity and productivity from a training perspective. These tours have the added benefit of offering Debaters the opportunity to pick up useful traits from completely different debating cultures and integrating them into their own repertoire. One danger inherent in all training is that the sessions become stale due to a lack of variation. Speakers come for training, go through a practice match, receive feedback and go home. In order to keep each training session fresh and interesting, it is necessary to add some variety and change to the training. The following changes can help to keep the debate sessions interesting. a. Change of motions – This is already practiced to a large extent by most Debaters and involves the changing of motion topic areas (sports, arts, technology, military, etc) to changing motion types (policy, evaluative, big red ball). b. Change of positions – This is a useful practice that Debaters should do more from time to time. In this, Debaters are asked to switch from their normal positions for one or two debates. For instance, someone who is nominally a third speaker could be asked to become a second or a first speaker. This practice is valuable as it makes the debaters appreciate the challenges associated with the other positions on the floor. Furthermore, cross-training means that the speakers will be able to switch positions without a great deal of fuss when a speaker is absent for any reason. Some debaters will actually have two main positions for debates, (i.e., Third Proposition Speaker but First Opposition Speaker). c. Change of format – This change up is very useful as it provides the Debaters with exposure to different types of debating around the world. In particular, this change up allows the Debaters to pick up different skill sets which could be applied back to their main form of debate. For instance, a World Schools Debater will learn POI skills from the cross-fire sections Lincoln Douglas, argument extension skills from British Parliamentary and quick idea generation from American Parliamentary. Even with the most enthusiastic of Debaters, repeated exposure to debate, as it is with most activities, will lead to burn-out. With constant training sessions and intense competitive matches, the strain may become too much for some Debaters, especially if they are heavily involved in other pursuits as well. Once there is a burn-out, the Debaters’ skills plateau and often regress, as they are unable to process and assimilate new debating skills and lack the motivation to do so in any case. This is a regrettable occurrence, especially in the case of young debaters, who face burn-out due to having too many tournaments to attend in conjunction with the pressure of academic work. This in turn means that they are unable to make further progress as Debaters when they reach pre-university or university levels. The best solution to this is to reduce the intensity and length of training sessions and in extreme cases, cease them altogether. In order to keep maintain an interest in debate, these Debaters may also be put through training sessions where the emphasis will be on having fun and enjoying themselves. Fun and humour motions, such as “Sesame Street is an evil influence” could also be used instead. Debaters rarely improve if they believe that they are not making mistakes at all. This is why sometimes defeats are better learning tools than victories, as Debaters are often less critical of themselves after winning. Therefore, in training, Debaters should also take a critical view of themselves and try to assess their own performance critically after every debate. Even if they had won, the constant mantra should be “how can I do even better next time round?” rather than a self-congratulatory pat on the back. The self-evaluative process should be matched with daily practices so that any flaws could be corrected and bad habits eradicated. More importantly, the daily practices ensure that the lessons taught at each training session can be cross-applied and internalized quickly. Daily practices also mean that Debaters will rarely get rusty and will also be in peak condition. These practices may be as simple as a speech being read out to practise delivery or a quick brainstorming of ideas for a motion. Most Debaters will be able to call upon their teammates to provide honest feedback on what they are doing wrong and how they can improve. These teammates are in an excellent position to give feedback as they see the Debaters on a regular basis and are aware of their regular speaking and debating habits. Furthermore, they have an incentive to give useful and constructive feedback since the Debaters’ improvement will lead to the team’s improvement. Each and every debater should also use available technology in appraising oneself. Debaters can use video cameras or webcams to record their speeches and play back. This exercise is very useful as the camera captures mannerisms and traits that may not have been obvious to the Debaters until seen on the screen. In the absence of such equipment, even delivering a speech in front of a mirror gives useful information on how the Debaters will be viewed by the audience.